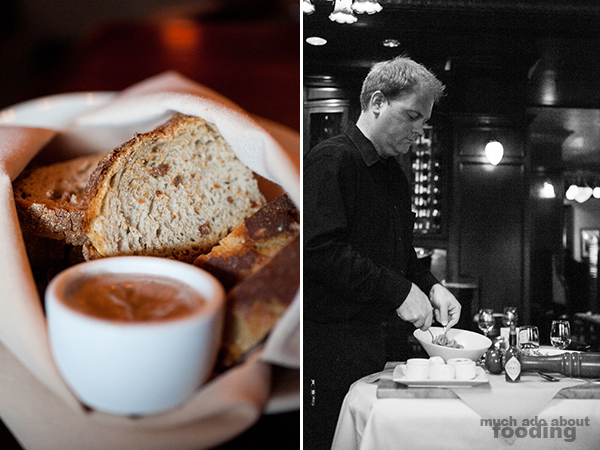 It feels like it wasn't too long ago when we had first heard about Brasserie Pascal. It was always on the list of places to check out but that list just keeps on growing as more and more restaurants invade the Orange County scene (in a good way!). We've looked up to Chef Pascal Olhats, owner, ever since we had heard about him, watched him do a demo, and applauded his Golden Foodie Award wins. 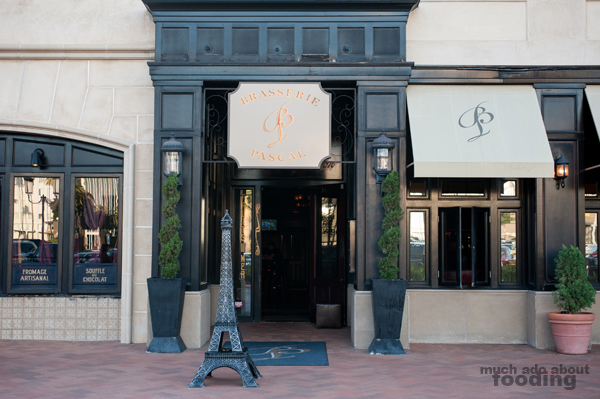 Situated in Newport Beach's Fashion Island, Brasserie Pascal is a mix of both fine dining and casual eating. The food is superb and of the caliber of fine dining with an intimate French environment to boot (low lighting, dark reds with blacks, and smooth French jazz playing softly in the background). The "casual" comes with the low-middle ground price point, the location of the restaurant in a shopping center, and a welcoming feeling for diners who may be dressed quite casually for their day out in Newport. 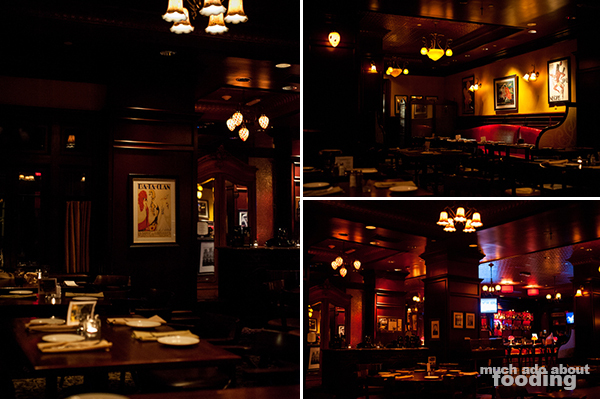 We ventured out one evening to quell our curiosity and thoroughly enjoyed the experience. The start of the meal was so promising with fresh bread and their Olive Tapenade made with anchovy, black olives, salt and pepper, and olive oil. If you're wondering what to have from their extensive and tempting offerings, they do have a dinner prix fixe menu of three courses for only $19 a person. 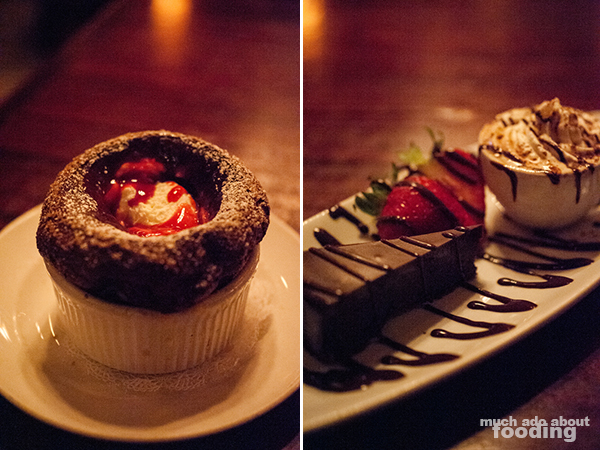 We ended up with two appetizers, two entrees, and two desserts for the evening. Normally we like to pick off of a small plates menu so that we can taste a bit of everything, and based on the menu descriptions, it sounded like everything we ordered would allow for that (despite being called entrees). The low lighting made picture taking slightly awkward (as well as the intimate setting - what were these kids doing here snapping pictures of their food?). 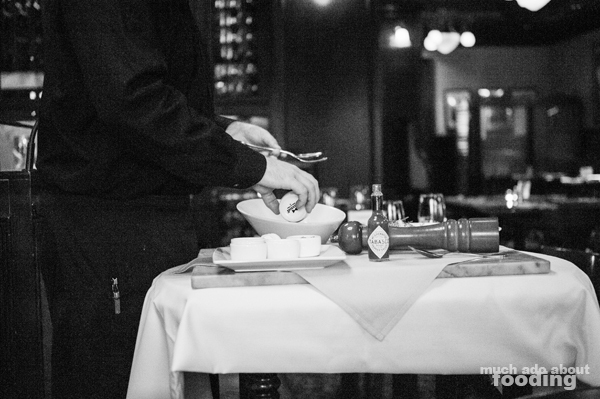 However, we pulled off everything and enjoyed watching the different types of dishes they had available, including our tableside service of the tartare. 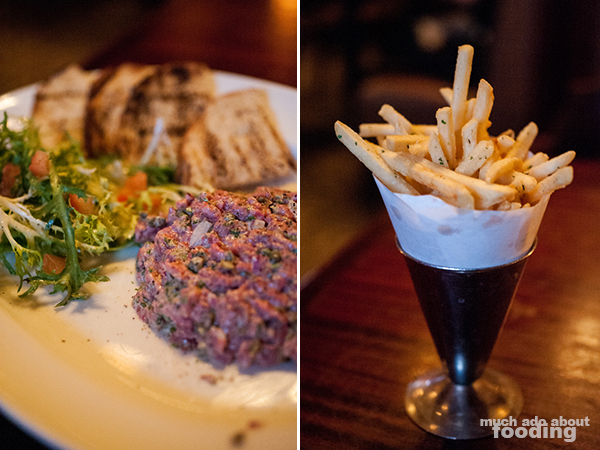 Our Steak Tartare ($21 - raw filet chopped and prepared tableside with red onions, capers, freshly ground pepper, and squeeze of lemon with a side of greens, toast, and French fries) was presented with a variety of options to choose from in terms of what we wanted to mix the filet with. We opted for everything actually, just to see what it would be like in full form. The filet was tender and finely chopped, a perfect texture for slathering atop the toast we had. The capers were few but gave a good amount of savory-sour to the meat, and the general manager's tip was to eat a burning hot French fry right before each bite. It sounds strange but for some reason, it was sublime - the heat of the very hot starch combined with the coldness of the meat somehow melded into a great experience. We also had the Escargot en Croute ($12 - wild Burgundy snails, garlic herb butter, and puff pastry) and starters Pascal's Special Roasted Beef Bone Marrow ($14 - served with toast points and a side of Pascal's favorite condiments). The escargot was a tad heavy on the buttery and oily side due to the divots under which the puff pastry sat but still delicious. 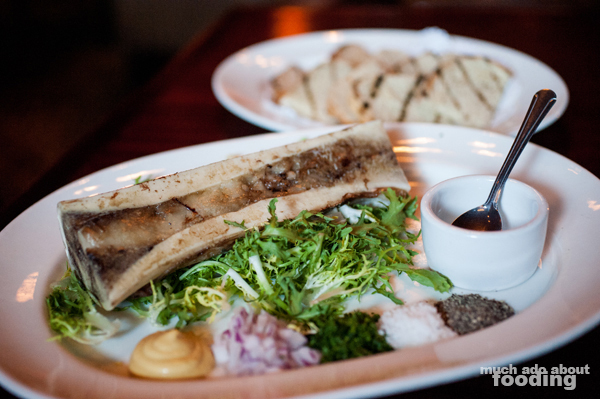 The bone marrow came with amazing toast and despite there being multiple condiments, tasted best with just a pinch of the sea salt flakes (just the way General Manager Herve likes it and recommended!). We felt quite taken care of by our great server Chris and the occasional recommendations from Herve as he came by. When we ordered the crepes, we were alerted that the plate usually comes with two so they recommend having one of each of their choices: Spinach and Artichoke Crepes ($16 - mixed vegetables, fingerling potatoes, and chive buerre blanc) and Chicken and Mushroom Crepes ($16 - mixed vegetables, fingerling potatoes, and sherry truffle creme sauce). After all that we had had, it was quite the heavy dish so we only managed to get a bite of each before packing it to go. 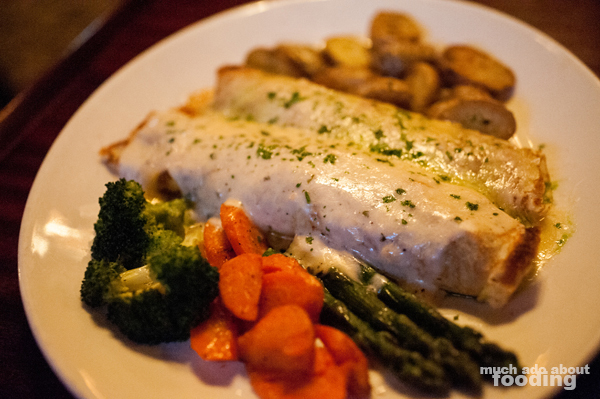 However, the sauces were rich and creamy, and the filling very subtly seasoned. 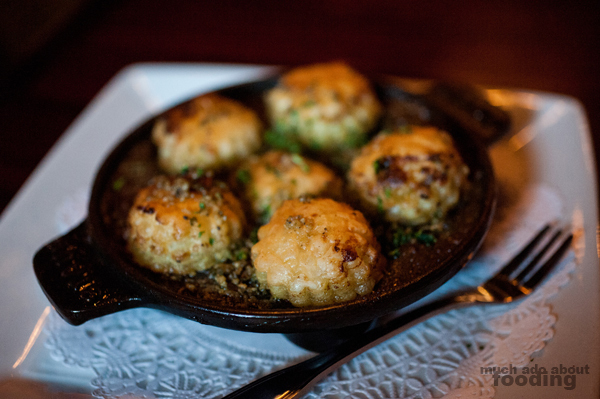 It's not for those who desire more flavorful dishes. The dessert was a plate of their Chocolate Souffle with Gran Marnier and Flourless Chocolate Cake, both of which were decadent in their own way. The souffle seemed a smidge undercooked toward the middle but the outside edges were wonderfully crisp. We enjoyed the dense flourless chocolate cake that was paired with a miniature teacup of espresso to wash down the decadence; I preferred this between the two. Not only was their food a fine a experience but their service and generosity outstanding as well. To our surprise, we were told at the end of our meal that it would be on the house via the arrangement of their PR based on a prior communication I had had because of the blog. My thanks to Sue, Herve, and Chris for treating us that evening, and we are both looking forward to coming back again and again.